Just seen this on New York Times, who have been investigating the News International phone hacking allegations. It had been rumoured that the paper was coming out with fresh allegations that Andy Coulson, now the No. 10 communications chief, knew all about the hacking, something that Andy Coulson has always denied. “But interviews with more than a dozen former reporters and editors at News of the World present a different picture of the newsroom. They described a frantic, sometimes degrading atmosphere in which some reporters openly pursued hacking or other improper tactics to satisfy demanding editors. 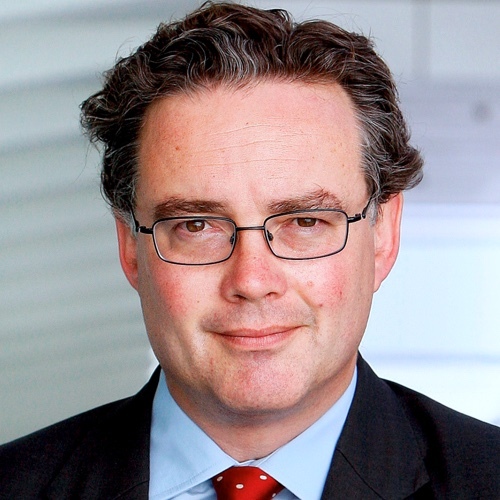 Andy Coulson, the top editor at the time, had imposed a hypercompetitive ethos, even by tabloid standards. One former reporter called it a “do whatever it takes” mentality. The reporter was one of two people who said Coulson was present during discussions about phone hacking. Coulson ultimately resigned but denied any knowledge of hacking. As an editor, wouldn’t Coulson have asked ‘where did you get this?’ especially on major revelation stories? So did the reporters lie to him or did he let them get away with ‘you don’t want to know’ and a wink? And what were the paper’s lawyers doing? did they not ask the source of the information? NOW destrys lives. They can target you then wait till you do something that can be of use to them. Illegal, undemocratic and wrong. Not good for society and the harm it can do to the people involved. So what if phone taps have been used? Who cares! Journalists have always used methods which are not strictly above board to bring us the truth. They use ‘sources’ which have clearly broken the law, particularly the Official Secrets Act, and they often use processes a court would describe as entrapment. So what! The real question is: do we want investigative journalism which gets the truth, and is risky – like Andrew Gilligan and the Sexed Up dossier, or do we want only the ‘official’ govt version of WMDs justifying war? I’d suggest that the public does not want to Hello school of journalism where we get a tour of Tony Blair’s house and learn the Great Man’s favourite colour: demonising Andy Coulson, whatever your view of politics, is not going to help. This story is not about phone tapping. It’s about public interest revelations and how they are being curtailed by the courts and politicians in the name of Rights. I fully agree with Tom Wright’s comments as to phone tapping, seeing as Labour Government gave the OK for local councils to record at will all our e-mails and phone messages they have set a very poor and dangerous example. Big Brother UK had escalated under labour to a very dangerous extreme. Strangely enough after my posting via twitter and Facebook as to: Social Networks under attack by Big Brother Erasure System. http://tinyurl.com/ygev7a9 only one of my comments relating to the above appears in my DISQUS profile (3 days late) yet all the others that that were posted via the ‘DISQUS System’ can only be seen posted into my twitter and Facebook page. The surprise would be if anyone is surprised. BBC News states: Prescott may seek judicial review of phone hack claims,. That’s really ripe coming from Prescott, as it was under the now ‘Discredited David Blunket’s Directive’ that all Councils could Tap the UK phone lines so ‘Hack, Tap’ whatever you want to call it is an invasion of ‘Civil Rights’. Does anyone honestly believe that any such information gained might not be used to sell to others? Remember the threat by UK Gov of £500,000 under the new powers for Data breaches? So come on UK Gov start fining the ‘Town Hall Data Breacher’s’. Come on Privacy regulator the Information Commissioner’s Office (ICO) do you darn. I am so fed up with the righteous indignation of John Prescott- does he have a running contract with all the media? Almost every day he pops up again sluttering about some new outrage. What a shame he wasn’t so outraged by the hacks, spinners and low life who ran the communications at number 10 when the sainted Gordon and Tony were PM.Mind you I had expected better of Alan Johnston but obviously he’s decided to join the band. If the Tories had the sort of ‘instant rebuttal’ strategy in place that was so typical of New Labour we wouldn’t hear so much of this stuff, let alone have it as a lead piece in the news.